Bethesda 365 » Day 10: Do you know the secret of the day? Day 10: Do you know the secret of the day? What is today's secret flavor??? Cost difference: about 400% more. Even more shocking….the “magic of GTCupcake”…apparently worth the $2.21 EXTRA per cupcake multiplied by the approx. 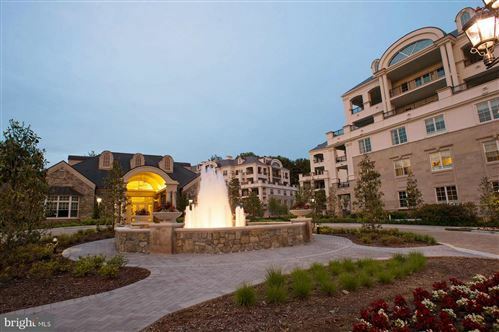 5,000 that they sell every day = over $4,000,000 per year (gross profit that is). WOW! Georgetown Cupcake opened its doors on February 14th (of course) 2008 in Georgetown, DC. At that time it was the only cupcakery in the DC area. 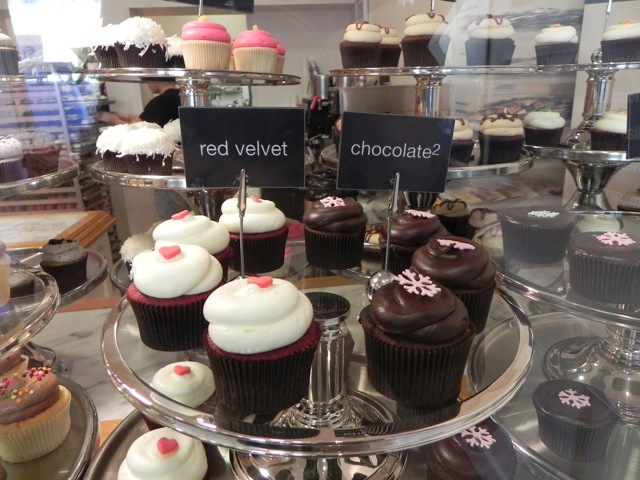 Now Bethesda has its own little cupcakery too – the second of the two-store operation. The business was featured on TLC last summer as the show “DC Cupcakes.” When you watch the series, I must say I felt bad for those millionairesses. It’s stressful makin’ all those cupcakes! If you haven’t been to Georgetown Cupcake shop, let me describe the experience as best I can. Like a kid in a candy shop, you enter the boutique with a sense of wonder as dazzling displays of cupcakes tower in glass cases in front of you. The sweet aroma wafts in the air. The most difficult part of the experience is deciding which one to have…but then again, must you only have one? Of course not! Why not take home a dozen?! There are 14 flavors to choose from, plus specials and seasonal flavors. Once selected, your cupcake is carefully packaged in a strawberry colored box that is always sealed with a signature black sticker showing the GTCupcake logo and sometimes a ribbon too. You carry it away like a fragile little bird in a nest. When you arrive home – or whatever your destination – there is a certain anticipation as you carefully slice open the sticker on the box to reveal its contents (as though you don’t already know what it is!). Carefully, so as not to disturb the perfectly swirled frosting, you open the lid and lift the mini cake creation from its perfectly pink package and take one last look at your ornamental delight. Then slowly you take a bite (eyes closed of course!). Ahhhhh….just a little bit of heaven in a box. What may be more impressive than the delicate treat itself is the business of making cupcakes. There is genius behind this quite profitable enterprise! Inspired by their grandmothers, owners Katherine and Sophie quit their chic day jobs in finance and fashion to start the cupcake biz. Not only are they now working multimillion dollar cupcake magic but they are making magic with marketing too! Experts at utilizing social media to promote their little empire, they have skillfully leveraged the power of Facebook and Twitter by offering a secret (not-on-the-menu) flavor every day. If you show up at the store and ask for it by name, it’s yours for FREE…if you are one of the first 100 to request it that day. In Bethesda (prior to my understanding this social networking genius), I wondered in amazement why throngs of cupcake lovers stood in line outside the boutique-sized shop. “Were they really THAT good?” I tried one. They are definitely tasty little buggers….BUT I still didn’t understand waiting in line for hours. I polled some people in line once. They were out-of-towners, saw GTCupcake on TLC and just HAD to get the secret flavor of the day. 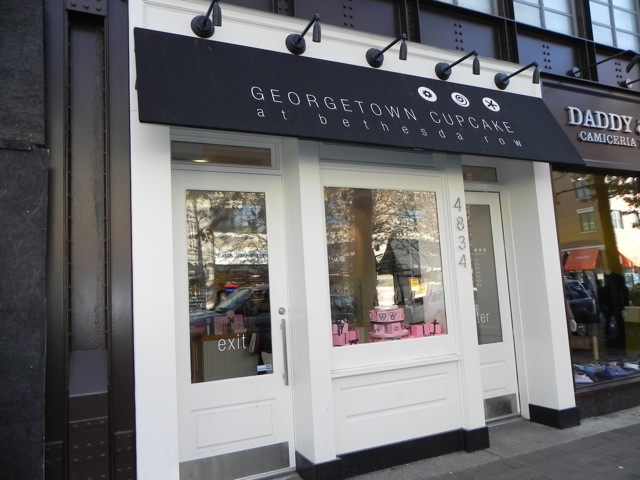 Well, whatever the reasons people stand in line – the cupcakes, the secret flavor, the obsession or the experience, Georgetown Cupcake is definitely something everyone should try at least once in Bethesda. But be sure to check for the secret flavor on Facebook or Twitter before you visit and then ask for it by name! ~Amy P.S. My personal favorite is Peanut Butter Fudge! This entry was posted on Monday, January 10th, 2011 at 12:48 pm and is filed under Food and Drink, Kid's Stuff, Shops & Businesses. You can follow any responses to this entry through the RSS 2.0 feed. You can leave a response, or trackback from your own site.